Obituary – Ingmire, Gary Dean « Perry High School Alumni Association, Inc. Junior Play ’59-’60; F.T.A. ’60-’61. Gary arrived on November 2, 1943 in Orlando, Oklahoma, the son of William Forrest and Helen M. Ewy Ingmire. His family later moved to Perry, Oklahoma, where he grew up and attended Christ Lutheran School. 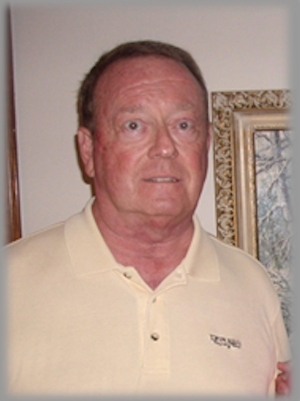 A 1961 graduate of Perry High School, Gary went on to obtain his Juris Doctorate from Oklahoma City University. Before establishing his law practice in Oklahoma City, Gary also worked for the Oklahoma Highway Patrol and achieved the rank of Lieutenant in the U.S. Air Reserves (1967-73). During his time in the Air Force, he was able to watch several space shuttle launches. He also served as Assistant District Attorney for Oklahoma County. In earlier years, Gary enjoyed traveling and did so extensively. His favorite places included Hannibal (MO) and St. Louis, San Francisco and Puerto Vallarta. Gary enjoyed snow skiing as well. His family heritage was very important, as he still had the large “camelback” trunk that his Great-Grandmother brought with her to America. Gary went to his eternal home on Monday, December 12, 2011. 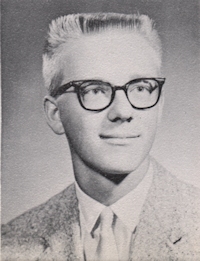 He is survived by two brothers, Richard (Hannah) Ingmire of Columbia, Missouri, and David Ingmire; a sister, Sharon D. (Ron) Clinton of Enid; nieces and nephews, Rich (Pam) Ingmire, Ann (Tim) Baker, Darren Clinton, Tina (Justin) Weathers, and Rhianna, Crystal and William Ingmire; numerous great-nieces, great-nephews, and cousin; uncles and aunts, Bob and Margie Ewy, and Norma and Wayne Speer, all of Perry. Gary was pre-deceased by his mother and father; grandfathers and grandmothers, William and Ada Ingmire and Rudolph and Ann Ewy, and numerous aunts, uncles and cousins. He will also be greatly missed by his close friends, John, Tracey and Marshall Mix, and his furry children, Barney and Blackjack.